I would like a swing like the first one, but I can't find anything like it. 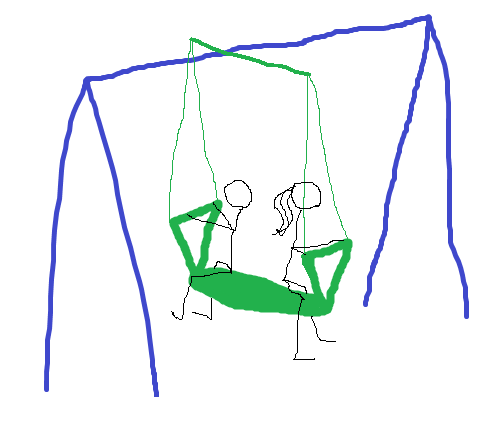 Possibly because I don't know what to call it; the best I can come up with is "tandem swing". But that usually gets me something like the one I have, or sometimes a "more protected" version that looks like two facing benches that could be on a ferris wheel or something. Anyway, I want to buy one for my kids but I can't find it online. So, either my google-fu is completely failing me, or else they haven't made them in umpteen years because of the lawsuits these days and whatnot. 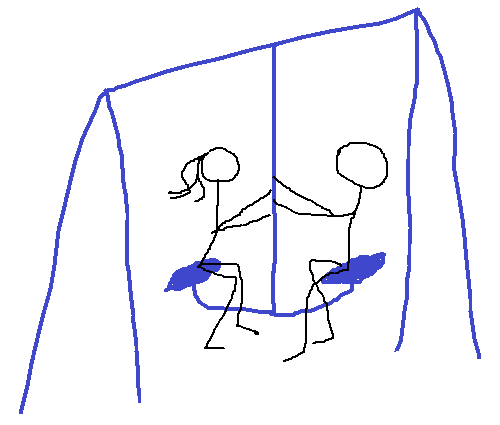 Edit: Designed it for Kettler swings only. May not be a generic name. Returns "Gondola" styles too. Edit2: Evidently describes several types with "glider". Includes the incorrect type. Will add Amazon's listing, just in case. Edit3: Perhaps from GlobalSources? Calls it "Glider Patio Swing" there. Disclaimer: Knows nothing about them. Try a tire swing, use a bigger tire. Thank you Deva, helpful as always!